Xi'an Friendship Medical Electronics Co., Ltd. is a high-tech multinational manufacturing company with the integration of science and research, product development, design & manufacturing, sale & trade as well as technical consultations. 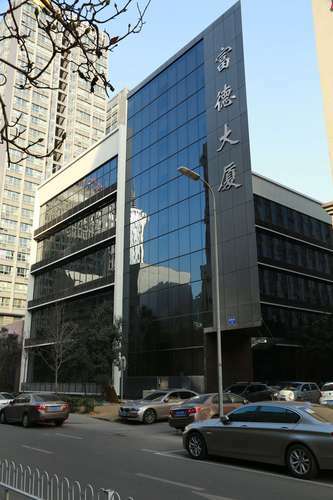 The company not only has a modern office building and standard workshops, but also is equipped with various kinds of specialized cutting-edge facilities, five production lines and purification workshops. The company is backed on abundant technical advantages and manufacturing capacities as well as professors, researchers, experts, senior engineers and production engineers. The company has established branches and product advisory offices in US, Europe and Canada. It has developed various kinds of high-quality medical devices and disposable products. Our company has the strongest production capacity among enterprises around the globe that manufacture similar products. The annual output of electrodes is 20, 000, 000 sets. They are applied to various electroneurodiagnostic workstations, electroencephalograph (EEG), electrocardiograph (ECG) and electromyography (EMG). Our company has disposable sterile subdermal needle electrodes, disposable surface electrodes (pre-gelled Ag/AgCl), and multi-functional disposable nerve locating probes as well as surgical instruments, etc. Our products can be classified into 5 categories, 18 series and 268 models. In the meantime, our company possesses a number of world first patents which have filled up the gaps of domestic market. The products of our company are the only ones that have obtained certification of American FDA, European CE mark, Canadian CMDCAS, MSA in Japan, KFDA in Korea and domestic medical device certification in the similar domestic products. We have also acquired the certification of international quality system ISO13485. We produce strictly under the guidance of the quality system. The best-quality materials are selected to manufacture products and the performance of all our products takes the lead and surpasses the advanced world level. The disposable subdermal needle electrodes and disposable pre-gelled Ag/AgCl surface electrodes have been the best-seller in American markets for ten years and have got good reputation among our customers. Meanwhile, products of our company are favorably commented by many customers in European markets, such as UK, France, Germany, Italy, etc. The international market share of corkscrew needle electrodes accounts for 80%. The market share of disposable subdermal needle electrodes and the disposable pre-gelled Ag/AgCl surface electrodes accounts for 56% in America. The market is still expanding by the annual rate of 28%. The prospect of our company is promising. We can provide a wide range of services for customers: electronic, circuit, mechanic and structure development, research, design, trial-manufacture, batch production as well as various technical consultations for products of customers. Friendship Medical is: quality, customer, credit, market, partnership, and service-oriented! Xi’an Friendship Medical Electronics Co., Ltd.